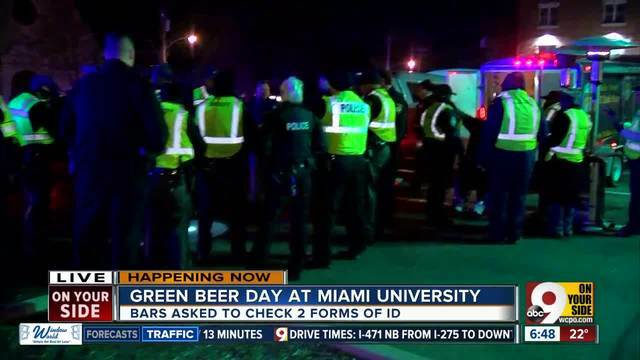 OXFORD, Ohio -- There's no stopping Miami University students from carrying on with the unofficial student tradition of Green Beer Day on Thursday, but the university announced some modifications for safety this week following a student's death from overdrinking, multiple ER visits and dozens of recent arrests. Oxford liquor-permit owners have agreed to open fewer bars in the early morning hours and ban underage persons at those times. 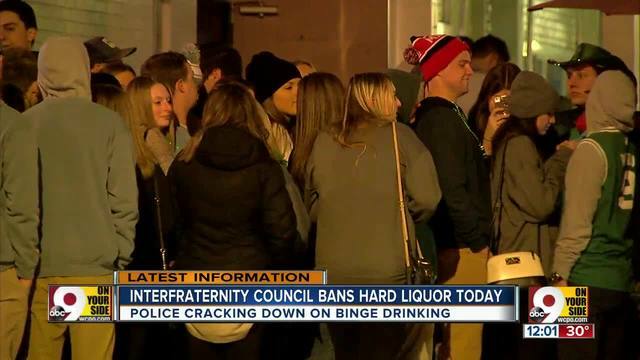 Fraternities will not serve hard liquor at parties. Oxford and Miami police will conduct joint patrols as they have since early this month. The university says it and Miami and Oxford police have increased alcohol awareness efforts. SEE what Miami says the community is doing to promote safety on Green Beer Day. 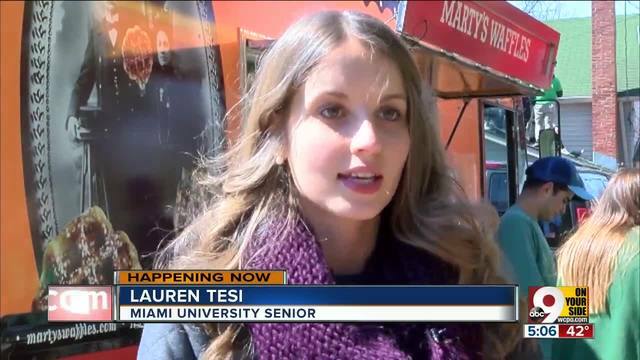 Green Beer Day -- a tradition for many Miami students that is not sanctioned by the university -- calls for skipping classes and drinking instead on Thursday before spring break. An underage freshman, 18-year-old Erica Buschick, drank herself to death (BAC .347), the coroner said. She spent the night partying with her roommate and friends and was found dead in her dorm room the next morning, students told police. Twenty-one drunken Miami students went to the local emergency room on a single night for treatment for overdrinking. They so taxed hospital resources that it was almost forced to refuse other patients, according to Oxford police. State police arrested 35 underage persons near campus in a single weekend for alcohol-related offenses. Following those events, Miami President Gregory Crawford pledged to give his full attention to the issue of binge drinking among students. In order to address safety on Green Beer Day, Crawford met with Oxford Mayor Kate Rousmaniere, City Manager Doug Elliott, business and organizational leaders, and staff and student leaders, according to a university release.